Feelings and Emotions - Do you have them? Last week I recorded a video of how essential oils can help support feelings and emotions. We've received a lot of positive feedback once our oily users started to implement some, if not all, of these wonderful oils in their daily 'self care' practices. I hope you enjoy watching this video as much as I enjoyed delivering this information to you. 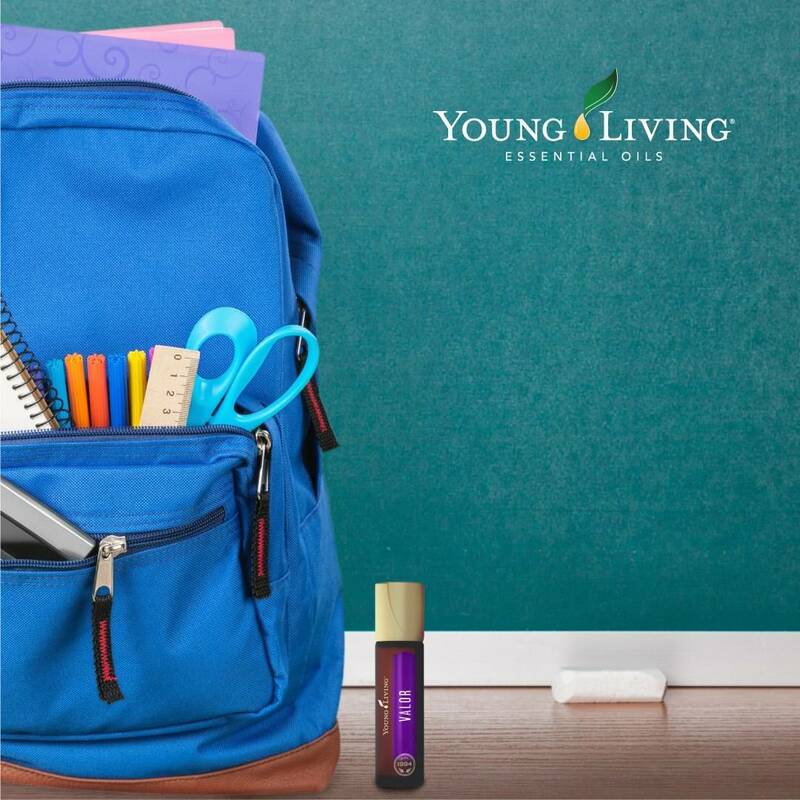 Follow the link below to set up your own online Young Living Wholesale Account, you will receive 24% discount on your first and all subsequent orders. Click the below link to check out more amazing blends available to support your children during the school term. 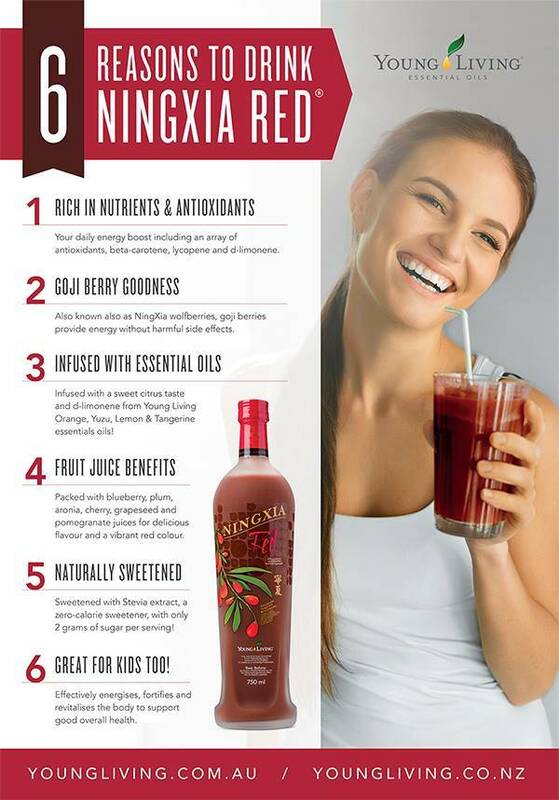 Ningxia Red - Have you had your Ningxia today? Ask us for a 'FREE' sample! One of the things I can't do without daily is my Ningxia Red. Here are 6 reasons as to why this drink is so beneficial. Then you can see for yourself why I'm so passionate about using it to energise, fortify and revitalise my body - and why it's so important for you too!! You only need 60ml daily!! Reason 1: It's a daily energy boost including an array of antioxidants, beta-carotene, lycopene and d-limonene. Reason 2: Also known also as NingXia wolfberries, goji berries provide energy without harmful side effects. Reason 4: Packed with blueberry, plum, aronia, cherry, grapeseed and pomegranate juices for delicious flavour and a vibrant red colour. Reason 5: Sweetened with Stevia extract, a zero-calorie sweetener, with only 2 grams of sugar per serving! Reason 6: Effectively energises, fortifies and revitalises the body to support good overall health. It is also great for kids. My kids like to dilute with orange juice and have it with breakfast in the morning. Great way to start the day! 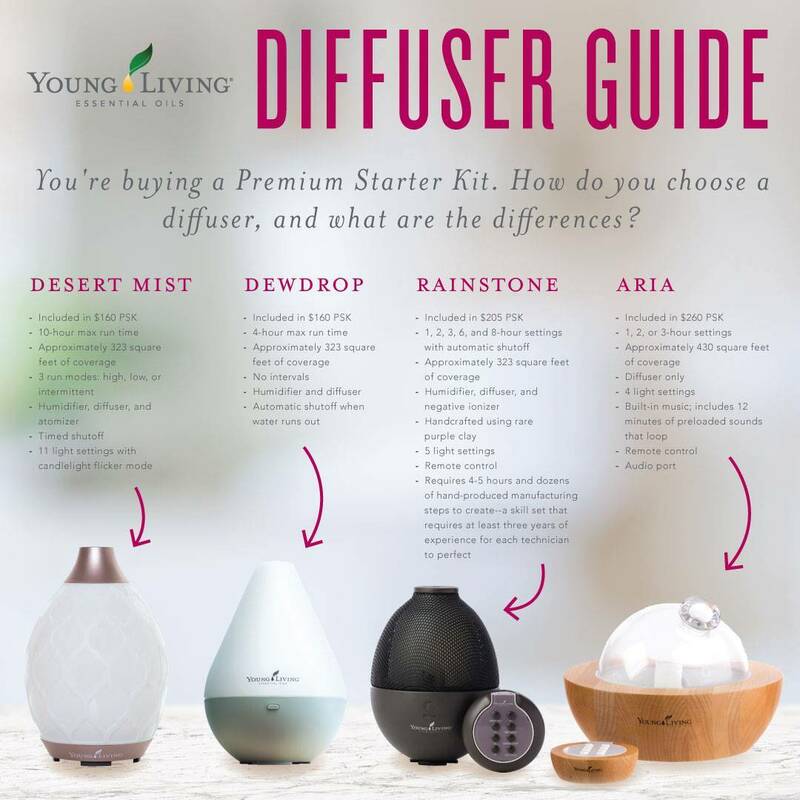 Young Living offers a wide range of quality diffusers to infuse your home with the oils you love. Let’s take a closer look at the diffuser options you can choose from in a Premium Starter Kit. What do all the diffusers have in common? All four use ultrasonic frequency technology to disperse essential oils into the air. The round plate at the bottom of the water well vibrates a million times every second agitating the water and oil into tiny vapor particles that are easily dispersed through the air without the use of heat. 10 reasons you'll love the new Mirah Lustrous Hair Oil. 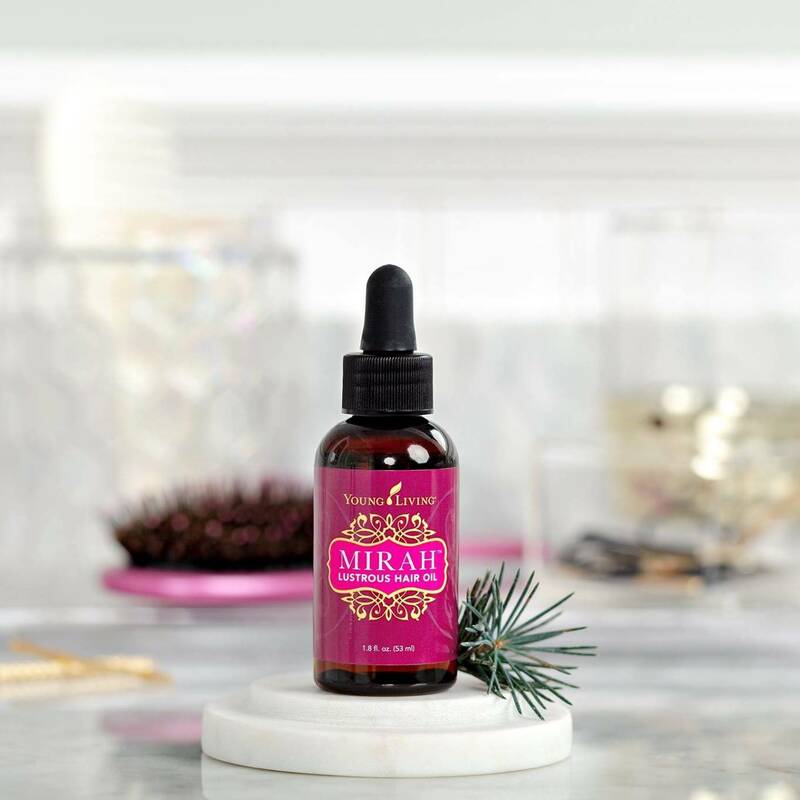 The new Mirah Lustrous Hair Oil is a luxurious multitasking hair treatment formulated to help minimize frizz and keep your locks soft and shiny, no matter what your hair type. This lightweight treatment is designed to leave your hair feeling and looking silky, smooth, and sensational. It’s infused with argan, monoi, and abyssinian oils to hydrate your hair with fatty acids and Vitamin E.
Mirah hair oil also contains a combination of passion fruit seed oil, grapeseed oil, fractionated coconut oil, and camellia oil which have been used for centuries to moisturize and condition dry hair. These exotic oils add luster, long-lasting brightness, and have been shown to improve the hair’s resistance to breaking and decreasing the number of hairs lost while styling. 7. Contains Rose, Ylang Ylang, Lavender, Orange, Black Spruce, Geranium and Sage essential oils! 10. Formulated without parabens, sulfates, phthalates, petrochemicals, animal-derived ingredients, synthetic preservatives, synthetic fragrances, or synthetic dyes/colorants. ONLY wholesale members residing in Australia and New Zealand are eligible for this promotion. 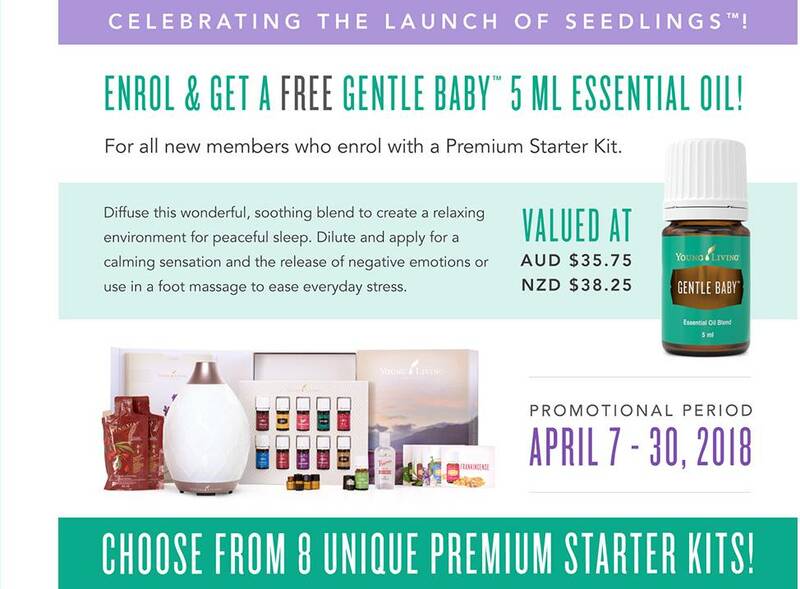 The FREE Gentle Baby™ 5 ml offer is limited to new members, aged 18 years of age or older and reside in Australia or New Zealand, with the first-time purchase of a Premium Starter Kit on enrolment via Standard or Essential Rewards orders. Free Gentle Baby™ 5 ml will be automatically added to new members first order of a Premium Starter Kit (100 PV). Please note: If new members enrol with Essential Rewards, the Gentle Baby promo item won’t show on the enrollment check out page. It will show in the order once the order processes. No return or exchange of the free Gentle Baby™ 5 ml. This promotion excludes all members in NFR markets. Reactivating members can qualify for this promotion if they purchase a Premium Starter Kit upon reactivation. 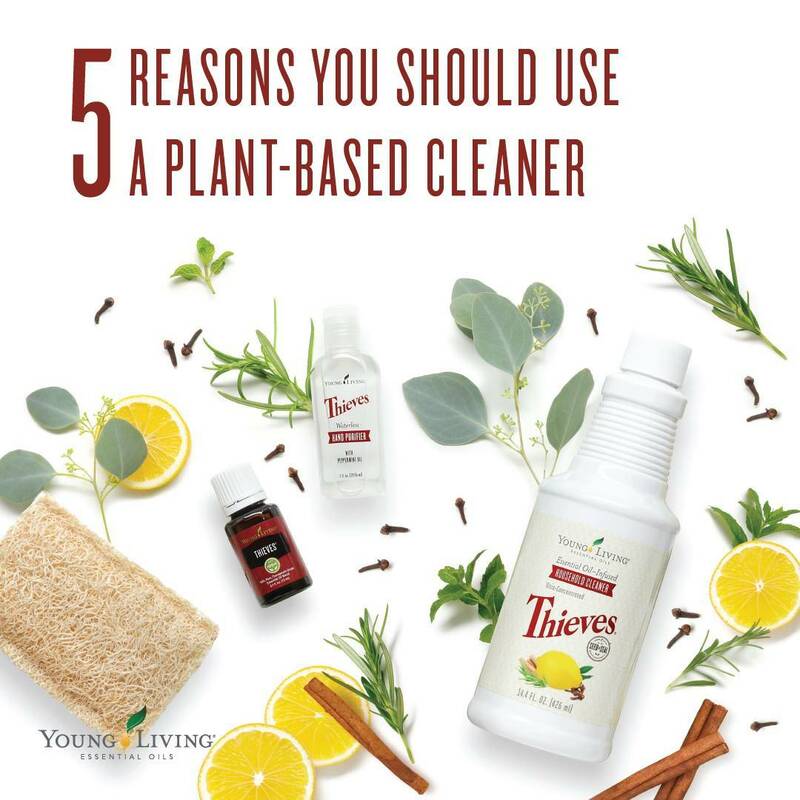 Do you use a Plant based cleaner to clean your home or office space? 4. Convenience: It's much easier to clean with a few products that take care of all your cleaning needs, rather than a having whole arsenal of toxic products under your sink and in your bathrooms. With Thieves® Household Cleaner, you can tackle multiple cleaning jobs in your home without switching products as you clean! It cleans countertops, windows, mirrors, floors, toilets, showers, and pretty much everything else. Plus, you don't have to worry about getting bleach stains on your clothes or accidentally mixing dangerous chemicals together. It’s worth a try for the convenience alone. These are only five of the many reasons to use a plant-based product. Comment below why you choose to clean without harsh chemicals! 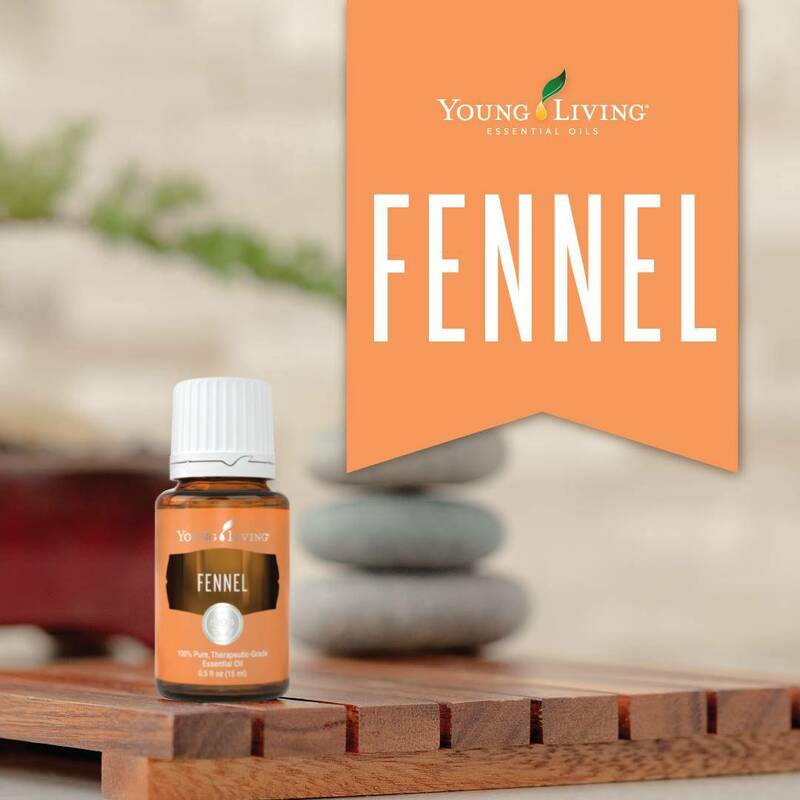 Fennel has a sweet, spicy aroma that can encourage grounded feelings. Its rich aroma is reminiscent of anise and has a licorice-like scent. Fennel is versatile and easy to use! Don’t miss your opportunity to get it free this month! Originally from the shores of the Mediterranean, the fennel herb was used historically to inspire feelings of grounding and empowerment. Today, it grows all over the world and is easily recognized for its iconic, spicy-sweet aroma, reminiscent of black licorice. Fennel is a tall, beautiful perennial herb with feather-like leaves that look a lot like dill. Dig below the stalk and you’ll find a large white bulb at the root. Although it looks like garlic or something from the onion tribe, fennel is actually related more closely to carrots. You can see the family resemblance in their crispy texture and sweetness. The bulb, stalk, and leaves are all edible, but the most potent flavor comes from the seeds. Young Living grinds the seeds into a powder and steam distills that powder. The result? Rich, fragrant Fennel essential oil and Fennel Vitality™ essential oil. Fennel is found in many Young Living products, including Dragon Time™ Massage Oil and Prenolone Plus™ Body Cream. • Diffuse Fennel at work or while studying to create a grounded environment. • Reduce the appearance of pores by applying a neutral facial toner and 1–2 drops of Fennel on freshly washed skin. • Use Fennel’s cleansing benefits by adding a few drops to a gentle facial cleanser. Fennel Vitality is specifically labeled for internal use and is a key ingredient in many Young Living supplements for its supportive properties. You can find it in Digest & Cleanse™, Essentialzymes-4™, Detoxzyme™, and JuvaFlex®. • Use Fennel Vitality in marinades, vinaigrettes, and even desserts for an added depth of flavor. Welcome to Ladies Who Unite - Camden/Harrington Park. Your ticket price includes, light refreshments, nibblies, and gorgeous take home low tox samples. Ticket price is $11.00 per person. We promise you a fun filled few hours of laughter, fun, connection and purposeful low-tox education. Our very talented leaders will share their hands-on experiences with not only our essential oils, but also sharing tips, tricks and hacks for our other low-tox products. We have Charlii from The Savvy Teen who will be sharing makeup application techniques - so bring your teens along ladies. Francine will share how she uses our Thieves range throughout her home, Laura will be chatting about our super amazing products for babies. (Hint, this range is brilliant for not only babies) Laura will share some pretty amazing 'product hacks' too. Grandma (AKA Kath) will be doing a hands on "Happy Hand" experience for everyone to enjoy. I've had the pleasure of road testing this, my hands have never looked so young!! Our skincare expert Melissa will show you all how to look after your skin in a low-tox way. You will all get to experience a very special 'hand facial' too. Warren Dyer will be chatting about how easy it is to share Young Living with your family and friends, just like you share a great movie you've seen or a great dining experience you've had. The difference is Young Living reward you for it. Naomi's chatting about our corporate improvments and I'll be delivering a short talk about essential oils for between the sheets. There will be loads more fun and excitment on the day. 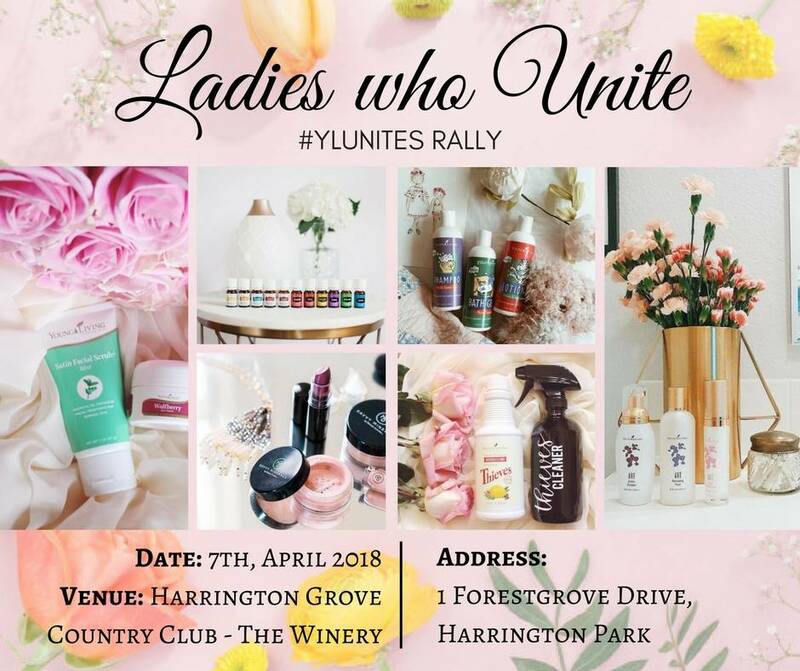 We look forward to welcoming you and your friends and family to our inaugural Ladies Who Unite #YLUnites Rally. February 'Australian' Promotions and updates. Click on this link for a short video on our latest promotions and updates. What you put on your body is just as important as what you put on your plate. With conventional products flooding the market, it can be difficult and even stressful to weed through it all to find something that is truly safe and derived from Mother Nature—not some sterile lab. Hi, I’m Karen Vella Caccamo and I’m an ambassador of positive change, wellness educator, and entrepreneur on a mission to impart families with the tried-and-true knowledge, natural products, and tools they need to pave the way to a happier, healthier lifestyle. Above all, I strive to educate parents and children on the ins and outs of low in toxic junk living, making the life-altering switch from chemical-laden personal care products to essential-oil-infused goodness. Before health and wellness became the focal point in my life, I worked in the travel industry for over a decade. Once I had children (three beautiful boys), I was a full-time stay-at-home mum for another decade. My shift began when my son received an Autism Spectrum Disorder diagnosis and I researched anything I could get my hands on to ensure he had everything he needed. That’s when I discovered that most children with ASD tend to carry around a higher toxin load in their bodies. Immediately, I cleared out the house from anything and everything toxic, and along with my loved ones, embarked upon our journey to low-tox living. Copyrights © 2019 held by respective copyright holders, which include but may not be limited to GetOiling.com and 🍃🍃🍃 Vitality Tribe 🍃🍃🍃 with Karen Vella Caccamo.